Aeronautical Ground Lighting Installations - Dewhurst Airfield Services Ltd. Since 1999, we have been providing independent, specialist airfield electrical services, in particular (AGL) aeronautical ground lighting installations. Our installation independence from the major AGL manufacturers has enabled us to fully support the Airports with their choice of AGL sourcing and build relationships with all suppliers. Dewhurst Airfield Services Ltd. was established in 1887 and has been committed to building a solid reputation within the electrical engineering industry and has now successfully developed into a multi-faceted organisation. Dewhurst Airfield Services Ltd. are respected for our comprehensive aeronautical ground lighting services to both Civil and Military Airfields and are actively involved in the promotion of competency for personnel actively involved with AGL systems. Company capabilities include GPS surveying, design, supply, installation, final commissioning and testing of systems, followed by full after sales support. MALMS Testing, Optical PAPI calibration checking and series circuit testing can also be carried-out by our teams of fully qualified, dedicated and competent airfield electricians and technicians. Dewhurst Airfield Services Ltd. also have considerable in-house project experience in LV power systems, stand-by power systems, AGL Control and monitoring systems, and High Mast lighting. Dewhurst Airfield Services Ltd. are a JIB member company who use directly employed competent registered electricians, approved electricians and technicians to install Airfield / Aeronautical Ground Lighting systems to civil and military airfields within the UK and Ireland. Our independence from the major AGL manufacturers has enabled us to fully support the Airports with their choice of AGL sourcing whilst building relationships with all recognised manufacturers and suppliers through our honesty and non-disclosure between parties. Our comprehensive experience list shows that many Airports and clients continually return to us for support on projects and additional works based upon the quality of our installation team. Our company philosophy is to provide safe quality installations and fully support the client to minimise operational disruptions and meet the relevant standards / specifications. Maintaining our reputation is key to our success. In conjunction with British Aerospace in the 1990’s, Dewhurst Airfield Services Ltd. designed and currently manufacture a Series Circuit Isolation and Test Unit for AGL series circuits. 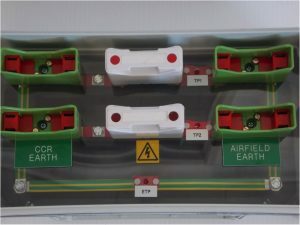 These units are installed on the AGL series circuits between the Constant Current Regulator and field circuit and form part of an Airport’s Safe system of work. These not only protect the airfield technicians during their maintenance works on the circuits, but also provide an effective way of testing the circuits and current levels. The clear covers on the units allow easy identification of circuit status, be it in-service, circuit earthed or CCR output earthed. Dewhurst Airfield Services Ltd. can provide AGL maintenance packages to suit the individual requirement of the airfield. We can tailor our packages from full AGL maintenance and call-out to bi-annual or annual visits to carry out specific tasks. We have been engaged by many airports/airfields to assist with fault-finding and rectification of circuits to meet CAP168 requirements. We can also perform pro-active maintenance at agreed frequency such as re-lamping services, circuit testing, fitting alignment – this is an invaluable service to those Airports who may be temporarily understaffed or struggling to keep on top of maintenance issues with their own personnel. 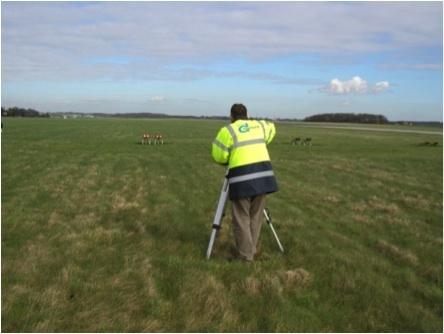 Dewhurst Airfield Services Ltd. can provide optical checks of PAPI elevation angles to ensure that the mechanical settings & adjustments are co-incident with the optical production. Electrical engineering and contracting has been the backbone of Dewhurst Airfield Services Ltd’s activities since the company was formed in 1887. Our highly skilled workforce has a wealth of experience within the electrical contracting industry. From our base in Preston, Lancashire we are commissioned by both industrial and commercial sectors as well as Public and Government Authorities throughout the UK. We pride ourselves on a high standard of customer service which has laid the foundation for successful long standing relationships with many of our customers. Our commitment to ongoing improvement and professionalism has led to the completion of numerous successful projects throughout all sectors of the industry.